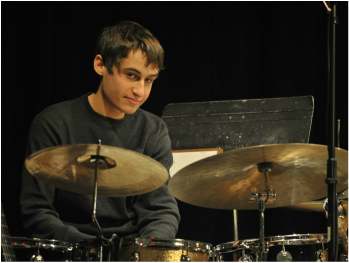 Benny Woodard is an 18-year old jazz drummer and composer from South Hadley, MA. He began playing drums at the age of six after finding himself infatuated with a set of conga drums. He has since studied privately for 11 years, most recently with master drummer Bob Weiner in Amherst, MA. 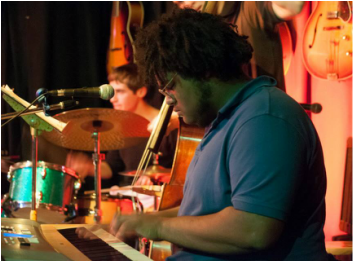 In 2014 he was selected as one of two drummers worldwide to be part of Berklee’s Summer Jazz Workshop, where he studied with the great Terri Lyne Carrington under a full scholarship. Already a seasoned performer, he has played at notable venues throughout the Northeast. He participated in the New England Conservatory Jazz Prep program (2013-15), studying piano, theory, composition, and performing in ensembles. He currently attends the New School for Jazz and Contemporary music with a President’s Scholarship. Acoustic and electric bassist Conner Duke, 18, is a graduate of Arlington High School in Arlington, Massachusetts. During high school, he participated in his school's renowned jazz band and in the Berklee City Music High School Academy (2011-2014), where he studied performance, theory, and composition with Berklee College of Music faculty. 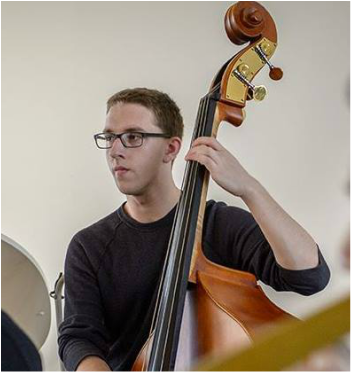 Conner now attends Columbia University, where he has worked with musicians such as Steve Nelson, Don Sickler, and Bruce Barth. His teachers include Ron Carter and Ugonna Okegwo. Franz W. Robert II is an 18 yr old Jazz Pianist, organist, and composer from Brattleboro, Vermont. Franz discovered the piano at the age of five and by age 11 he could play orchestral parts from numerous choral works by Bach and Handel on the organ by ear. He started formal classical training at 13, playing works by Chopin, Rachmaninov, and Mozart. Franz began playing jazz when he discovered the music of Fats Waller and James P. Johnson at age 14, and switched to a full-time focus on jazz at 15, studying in depth with Eugene Uman, director of the Vermont Jazz Center. Since then, he has been featured at the "Prodigy Concert" series of the Pittsfield City Jazz Festival with his trio, made the Vermont All-State Jazz Big Band, and performed at various venues throughout New England and New York City. He currently studies jazz piano and composition at the Manhattan School of Music. His primary influences are, Bud Powell, Barry Harris, and most of all, McCoy Tyner. Pianist, composer, arranger and trumpeter Jeff Holmes grew up in Lynnfield MA, and earned degrees from the Eastman School of Music where he studied with Rayburn Wright and Bill Dobbins, among others.He is also Professor of Music and Director of Jazz and African-American Music Studies at the University of Massachusetts Amherst and the Artistic Director of the Jazz In July Summer Workshops at UMASS. "The Jeff Holmes Quartet is laid back quartet featuring Adam Kolker on tenor, soprano saxophone and bass clarinet along with stellar bassist James Cammack and drummer Steve Johns rounding out a superb rhythm section. This eclectic jazz collective moves effortlessly between styles and walks a steady tightrope of finely arranged tunes and improvisational conversations between the participants. While Holmes prolific talents clearly establish himself as the leader of this group, it is a true jazz collective in every sense of the word. 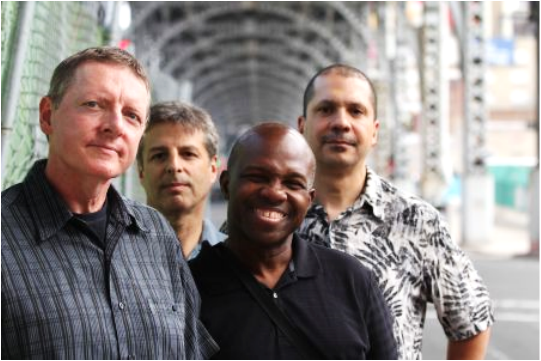 Four voices performing as one is a rarity and here Holmes takes it to another dimension..."
Originally from West Hartford, Connecticut, Pete McGuinness has been an active New York City-based jazz musician since 1987. 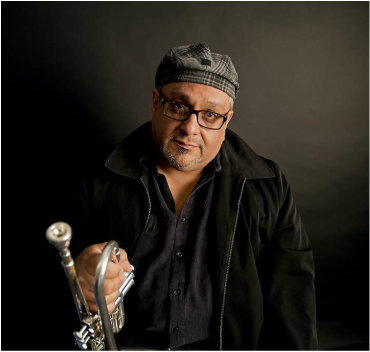 His creativity is expressed in many capacities…well-established NYC-based jazz trombonist, GRAMMY-nominated composer/arranger, award-winning jazz vocalist, and long time jazz educator. He has studied at New England Conservatory and University of Miami (bachelor of music, 1986), and Manhattan School of Music (master of music, 1987). 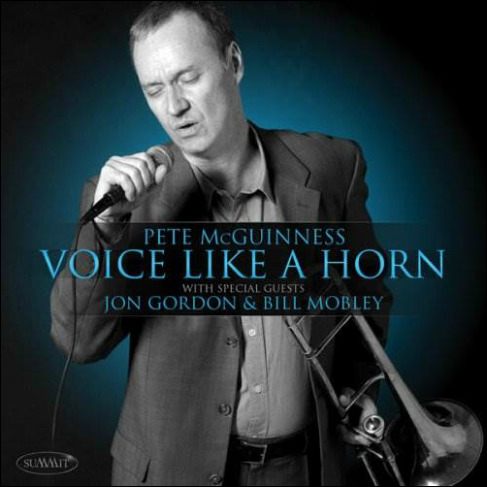 McGuinness appears as a sideman on over 50 jazz CDs, including the GRAMMY-winning CD by Maria Schneider “Concert in the Garden” He has performed in the pits of many Broadway shows throughout the years. Pete is also featured as a trombonist on 4 CDs he has either lead or co-lead throughout the years. He also writes for his own big band, “The Pete McGuinness Jazz Orchestra”. The group has performed live at such NYC clubs as The Blue Note, The Jazz Gallery, and Iridium. Its debut CD “First Flight” was released nation-wide in 2007 on Summit records to much critical acclaim and radio play. Edmar is…an enormous talent, he has the versatility and the enchanting charisma of a musician who has taken his harp out of the shadow to become one of the most original musicians from the Big Apple. 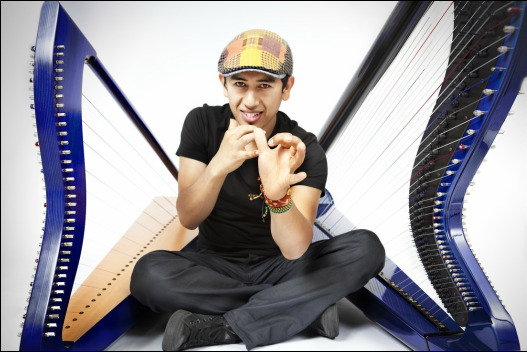 Even now, on stages across the globe, one notes how Edmar’s body seemingly engulfs his Colombian harp as he crafts almost unbelievable feats of cross-rhythms, layered with chordal nuances rivaling the most celebrated flamenco guitarist’s efforts. Gretchen Parlato has emerged as one of the most inventive and mesmerizing vocalists of her generation. In an artful communion of space, texture and a genre-bending repertoire, she has introduced a musical sea-change, making the power of subtlety front and center in jazz. Parlato has performed on some of the world´s most prestigious concert halls including Carnegie Hall, Hollywood Bowl, London Jazz Festival, North Sea & Montreal Jazz Festival. Praised by his mentor Herbie Hancock as “a musical painter,” Lionel Loueke combines harmonic complexity, soaring melody, a deep knowledge of African folk forms, and conventional and extended guitar techniques to create a warm and evocative sound of his own. Loueke and Parlato both moved to New York after completing their studies at the Monk Institute and became frequent collaborators, performing on each other’s albums. Their musical chemistry grew to border on uncanny, with Loueke’s percussive guitar lines and vocal pops blending effortlessly with Parlato’s ethereal voice and syncopated hand claps. This is a performance you won’t want to miss! 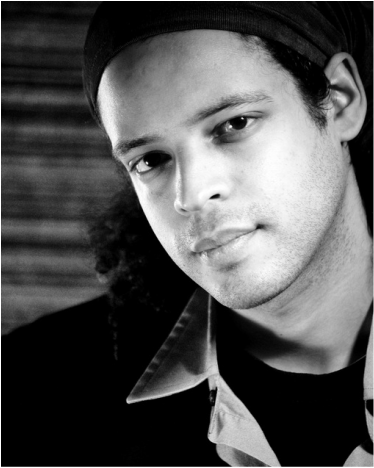 After graduating from New England Conservatory in 2005, Zaccai Curtis moved to New York City where he performs with artists such as: Ralph Peterson, Brian Lynch, Ray Vega, Antoine Roney, Wallace Roney, Cindy Blackman, Jerry Gonzalez and the Fort Apache Band, Papo Vasquez, and Donald Harrison. Zaccai Curtis composes and arranges for his own quartet, trio, solo piano works, Big-Band, Orchestra, as well as large and small ensembles with strings. 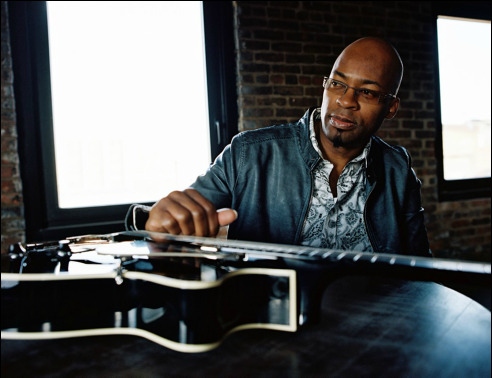 Zaccai and his quartet were selected by the U.S. State Department to be in the American Music Abroad (Jazz Ambassadors) program two times in 2006. They performed in Bangladesh, Calcutta, Bangalore, Mumbai, Sri Lanka and Maldives. Zaccai currently performs his own music with his group ‘Curtis Brothers quartet’. Zaccai and brother Luques Curtis are currently releasing their album ‘completion of proof’, after two successful albums, “a genesis” and “Blood spirit land water freedom”. Zaccai is also the head of his own record label ‘truth revolution records’, where music from talented independent artists is released. A native of the South Bronx, Ray Vega is a veteran of the bands of Tito Puente, Ray Barretto, Mongo Santamaria, Mario Bauza, Luis "Perico" Ortiz, Hector LaVoe, Johnny Pacheco, Larry Harlow, Pete "El Conde" Rodriguez and Louie Ramirez among numerous others. He has established himself as one of the innovators of the international Jazz and Latin music scenes. A multi-talented trumpeter, percussionist, composer, and arranger, he presents Jazz from a refreshingly original and contemporary perspective.